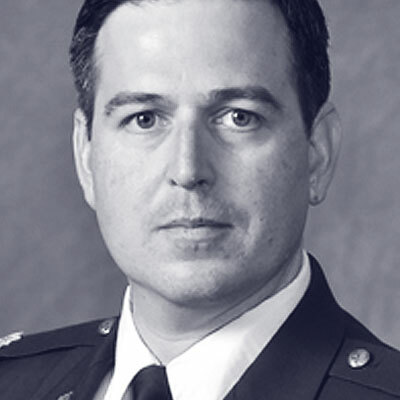 Lieutenant Colonel Enrique Oti is the Director of the Air Force Element, Defense Innovation Unit Experimental. The unit was established by the Secretary of Defense to engage with innovation ecosystems throughout the United States to scout for new technologies and bring innovative ideas back to the Department of Defense. Enrique earned his undergraduate degree in history from the US Air Force Academy; he holds a master's degree in strategic intelligence from the Joint Military Intelligence College and a master's degree in international relations from Zhejiang University in Hangzhou, China, where he studied as an Olmsted Scholar. He is a cyber operations officer and foreign area officer, focusing on China, and has served in a variety of positions, including network operations, influence operations, strategic communication, and China strategy. He commanded an intelligence support squadron in South Korea that supported intelligence collection from airborne assets. Most recently, he was a National Security Affairs Fellow at the Hoover Institution, Stanford University, where he wrote on Chinese cyber strategies and cyberspace deterrence.